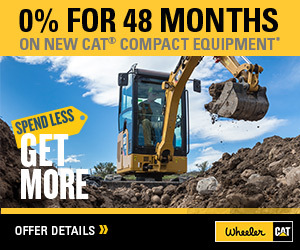 Motor Graders for Sale in Utah | Wheeler Machinery Co.
Cat motor graders continue their reputation for offering world-class cab and controls, advanced electronics and hydraulics, and optimum productivity to match your needs in any application. When it comes to supplying this top-tier equipment, Wheeler Machinery provides attentive, detailed service throughout Utah. We operate out of several locations, including Salt Lake City and Ogden, which makes finding what you need much more comfortable. What Jobs Can You Complete With Cat Motor Graders? Working to ensure a specified slope or a level base is incredibly vital for the structural integrity of several construction projects. If left uneven, you could face threats to overall durability and stability, which can lead to serious consquences down the line. 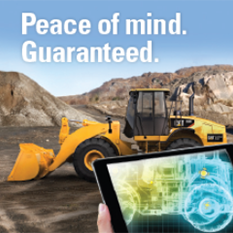 Cat motor graders will eliminate that doubt thanks to the premier technological innovations they utilize. 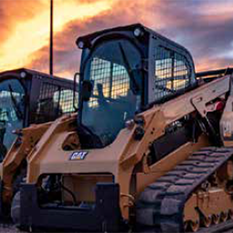 The Caterpillar® Grade Control System makes use of several data points, carefully calibrated measuring instruments, and in-cab guidance to make jobs more manageable for the machine's operator. You'll receive pertinent data in real-time, including information on grade, slope, compaction and location. Cat designed this system to increase precision and reduce the amount of time necessary to achieve the correct result. You'll make fewer passes with these motor graders, which saves time and money through lower labor and fuel costs. The operator will also experience reduced feelings of fatigue thanks to improvements in comfort. Due to how they're built, motor graders can excel at non-conventional tasks as well. Their included blades make moving snow and soil easier, and you could also use them for laying pipes and conduits. As is true for most motor graders, Cat variants typically consist of three axles that have large, low-pressure tires with heavy treads. Each model has a heavy-duty, multipurpose blade situated between the front axle and the central axle. The position of the blade is between the front and rear axle. Some models can accept specialized attachments that expand their capabilities. If you want improved fuel efficiency, the M Series utilizes state-of-the-art emissions reduction technology that meets EPA Tier 4 Final/EU Stage IV regulations. You'll reduce your carbon footprint and the impact on your pocketbook, which gives you greater financial flexibility in the long run. The main differences between these heavy machines come primarily in the forms of size and strength. You'll find Cat motor graders that perform best on smaller stages, like parking lots and landscaping scenarios. Conversely, you can go big with the 24 Motor Grader, which Cat designed to work on mine sites and create hauling roads. Do not settle for guesswork any longer at your job site. Wheeler Machinery will do everything possible to match you with your ideal Cat motor grader, which will supply you with reliable results for years to come. If you operate near one of our Utah stores, reach out to us! Our customer service team will answer all your questions, and you can request a free quote on our website. Fill out our contact form today to get started or call us by phone to learn more.